InkJoy® are some of the best pens on the market today. I was picked by InkJoy® and Smiley360 to participate in this mission. 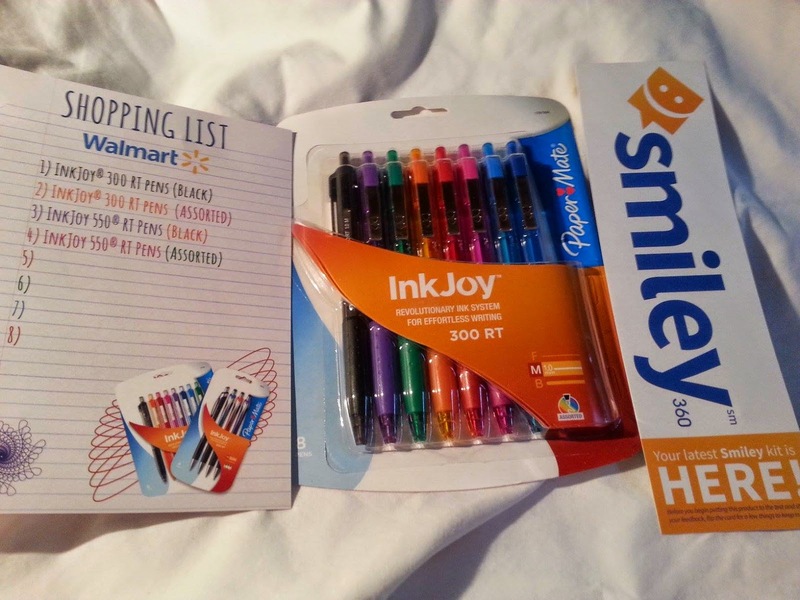 I received a free pack of pens, free Walmart gift card to purchase another pack of pens and information to try, review, and share my opinions about them.I was thrilled because I think you can never has to many ink pens, especially when they are good ink pens. InkJoy® offers different lines of ink pens and they are all awesome. I received a pack of Paper-Mate Ink Joy 300 RT pens, an 8 pack and with 8 different colors. The colors included in my pack were the traditional blue, black, lighter sky blue, purple, green, orange, red, and pink. The pens have a great hand feel and write so smooth and clear. The colors are so bright, vibrant and pretty! This was a great mission for a pen lover like me! As I say keep your friends close and your pens closer! If not your friends will make off with your pens-especially if they are Paper-Mate Ink Joy 300 RT! 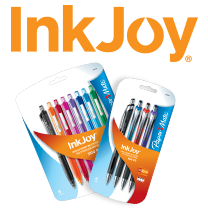 The InkJoy® 300 RT features an extended rubberized grip for optimal comfort in writing. The translucent color-tinted body is modern and stylish, while the metal clip provides long lasting durability. The InkJoy® 550 RT combines an hourglass shape with full-length grip to provide comfort no matter how the pen is held. The translucent and opaque materials flow together for a stylish look while the metal clip and accents provide long lasting durability.